The big story, the reason the throngs descended on Washington, was Barack Obama’s inauguration as president. 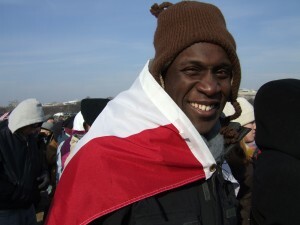 But there were many more American stories to be told, in the crowds that gathered in the nation’s capitol, and in the groups that came together to celebrate the historic day in New York. WASHINGTON — Jundid Suhail took a circuitous route to Washington to California, traveling by plane and bus with a stop in New York, to see the inauguration. Jundid Suhail will have a story to tell his children. But the 26-year-old, who works in creek and river restoration, said it was worth the trip. “It is a beautiful moment for the country as a whole,” Suhail said as he stood in the shadow of the Washington Monument, with a distant view of the White House and a closer view of a giant television monitor showing the ceremony. Sam Barkin, a 26-year-old clown and magician from Brooklyn, knows all about what makes a good show. 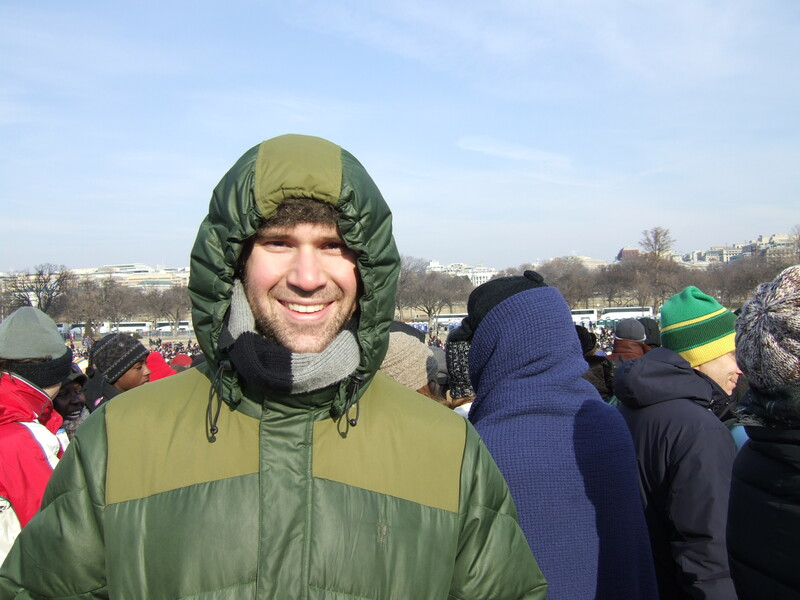 When it came to the inauguration, he wasn’t disappointed — even if his sister had tickets to the main event and he was stuck watching from far away with the majority of the crowd. Brooklyn performer Sam Barkin was determined to see the big show in Washington. Tracie Davis, 23, is hoping to make a career in Washington. The Indiana native, fresh off a State Department internship, is looking for work, preferably in the foreign policy field. Davis already has gotten to learn a lot about Washington since moving there in September. She said she’s seen the city take on a new sense of excitement since the election. Tracie Davis has seen changes in Washington in recent months. There’s been some excitement in her own house, where she and her six roommates made room for a bunch of visitors who came for the inauguration. 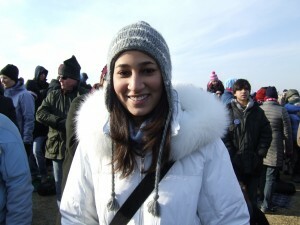 “It’s history, it’s amazing,” Davis said as she gathered on the Mall with the assembled throngs. 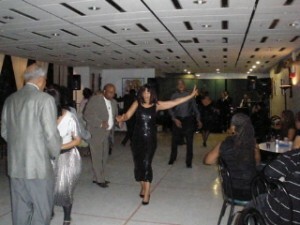 NEW YORK — At the Adam Clayton Powell Jr. State Office Building in Harlem, named after the first African-American elected to Congress from New York, a group of locals gathered to celebrate the new Obama presidency with a salsa band, buffet-style dinner and lots of dancing. The celebration at Adam Clayton Powell Jr. State Office Building in Harlem. One of the revelers was 87-year-old Hilda Wradge, who was born and raised in Harlem. 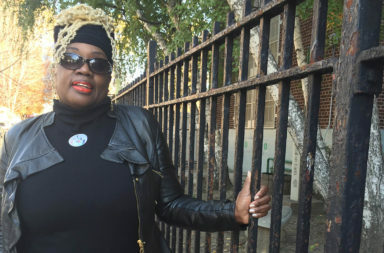 Although Wradge was not one of the dozens of people swirling on the dance floor, she said she came out to mark a day she never thought she’d live to see. 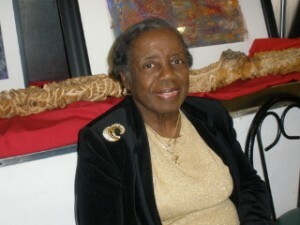 Hilda Wradge, 87, never thought she's live to see an African American elected president. 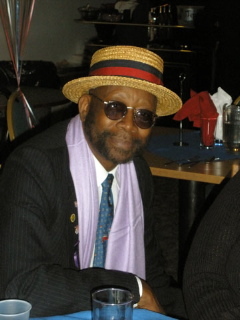 Ed Daniels arrived at Tuesday’s party dressed in a dapper straw hat highlighted by a red sash and a lavender scarf. He grew up in Harlem at the height of the civil rights movement, and heard Malcolm X and the Black Panthers make fiery speeches about how the U.S. could never understand the needs of African Americans. But Daniels, a paralegal, said he always knew it was only a matter of time before a black man or woman won the presidency. Ed Daniels was confident he'd see an African American elected president. SLIDESHOW: Click above to see images of the crowds that gathered in Washington and New York to celebrate Barack Obama's inauguration.